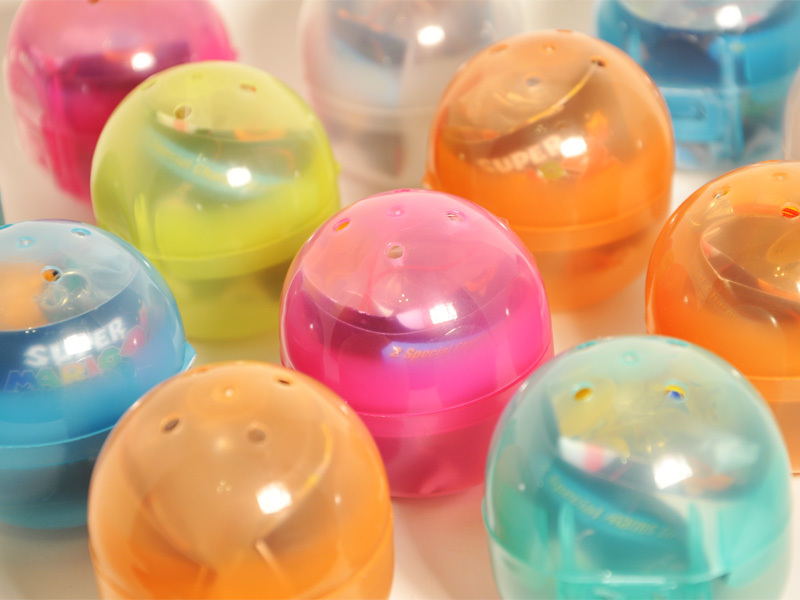 Do you have a perfectly good Tomy gacha ball vending machine that is sitting empty because you can't find enough toys to put inside them? Do you miss the days where you count $800 in shiny quarters each month? 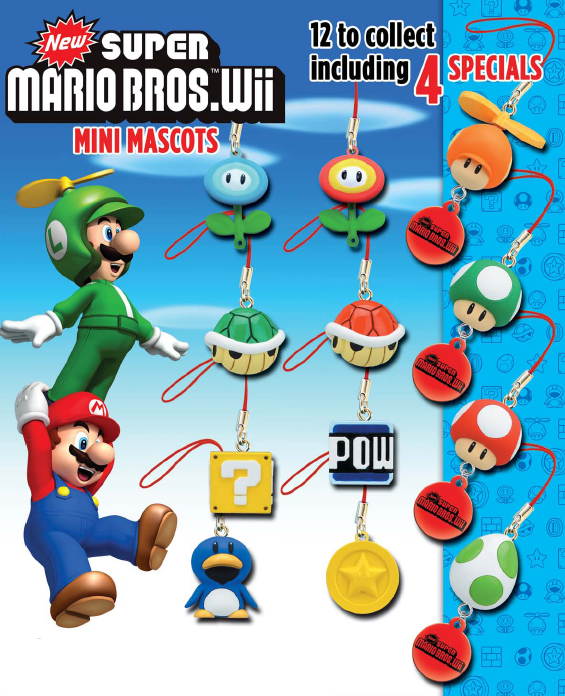 Well, if you answered YES to those questions then this Super Mario Bros. Wii Mini Mascots collection is definitely for you! Each of the 12 'mascots' are beautifully produced in the vibrant colors of Mario World! With a little creativity the possibilities for these little guys are endless, from bookmarks, to cell phone accessories, to even backpack zippers! At only $1.25 retail this is the perfect back to school accessory for any Mario Lovers! Gacha Ball Machines (Sold Separatley) Call for pricing & availability!